1. Conic Hill finishing at the Oak Tree Inn at Balmaha - The Conic Hill lies between the villages of Drymen and Balmaha on the eastern shore of Loch Lomond and can be accessed by bus, bike or car from Drymen or Balmaha. The Conic forms part of the Highland Boundary Fault Line-where the Highlands meet the Lowlands- and as you descend into the village of Balmaha the view looking over the islands on Loch Lomond is spectacular. The Oak Tree Inn awaits at the bottom of the hill with a welcome pint and is popular with walkers doing the West Highland Way. The Oak Tree also have a micro-brewery producing beers, ales and ciders, which are all served in the bar, and their St.Mocha Coffee Shop also has an excellent selection of teas and coffees and home baking. 2. Beinn Dubh finishing at the Loch Lomond Arms in Luss - Beinn Dubh stands high above the pretty conservation village of Luss and offers fantastic views over Loch Lomond. The path starts in the car park and takes between 3-4 hours, with the option to include Mid Hill. Arriving back in the village, the Loch Lomond Arms is a country pub serving local fayre and craft ales. On a cold day you can sit inside and enjoy the warmth of the log fire. 3. Inversnaid to Inverarnan finishing at the Drovers Inn - After a long days walk along a section of the West Highland Way, following the most remote bank of Loch Lomond, a stop at The Drovers Inn is well deserved. The Drovers Inn is an experience in it's own right! Being one of Scotland's oldest pubs, its quirky interior and lively bar has a great atmosphere. Oh...and remember to look out for the resident ghost!! What's your favorite hike and pint? I've still to walk up Conic Hill, and I would love to bag Ben Lomond. So many great walks at Loch Lomond. I visited Inchcailloch Island in May 2016. It's a lovely wee island with walks for all levels of fitness and you can camp on it too . 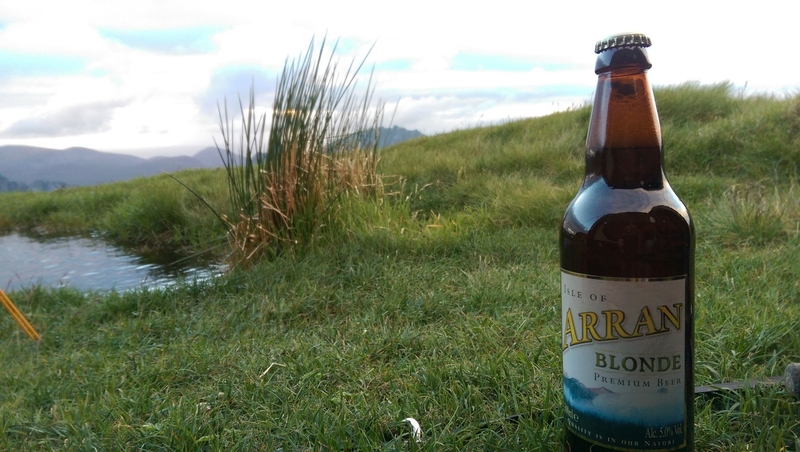 I remember popping into the Arran Brewery one time after my hike up Goat Fell and asked for an Arran Blonde to go. It was best beer ever after an adventurous hike. 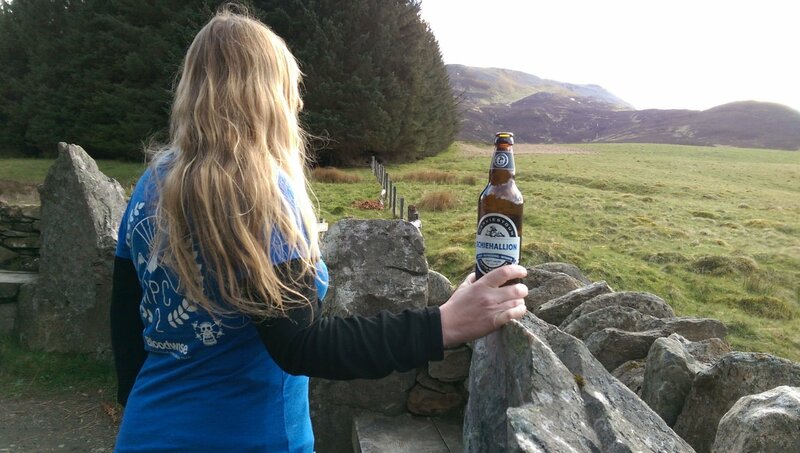 Then after my first Munro, Schiehallion, I had a Schiehallion beer, it was so refreshing! @VisitScotlandAngela I really like the Cademuir Hillforts and River Tweed circular route starting and ending in Peebles. It offers a lot of variety and great scenic views without too much climbing. The County Inn in Peebles town centre is great for a well deserved pint and a bite after the walk. The MacDonald Hotel in Kinlochleven is a welcome relief after hiking up the Devil's Staircase. I also love the Bridge of Orchy Hotel. Another great one for hikers. We climbed up into the Black Mount when we stayed there. Food and drink very good. The Lade Inn at Kilmahog is always full of hikers. We visit a lot when hiking in the Trossachs. Can't fault it. Handy for Ben A'an, Ben Venue and hills around Strathyre region. 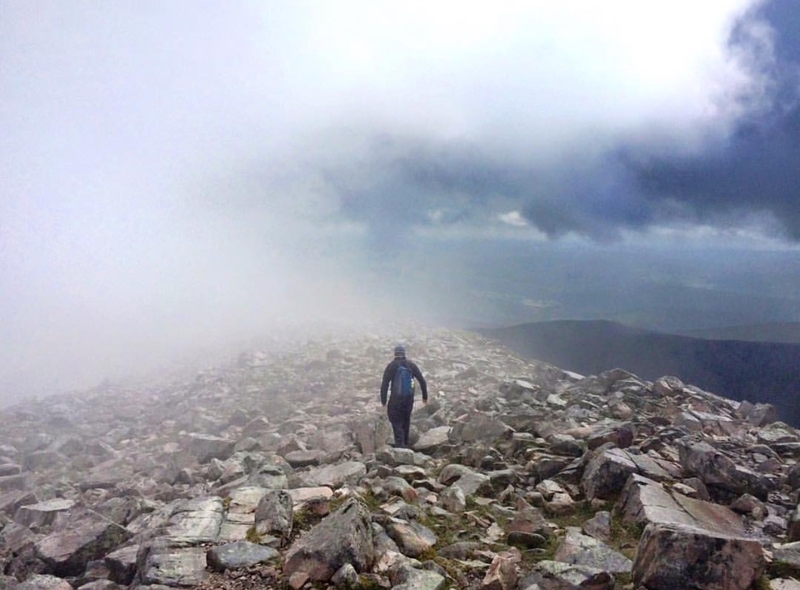 I climbed Schiehallion on my wedding anniversary last summer. Nothing says I love you quite like scrambling over boulders. The best insider tip that I have is to walk to the summit of Ben Vrackie, Pitlochry. Take a selfie of yourself at the summit. Then walk back down to the town and go to MacKays Hotel Bar & Restaurant and order a Ben Y Vrackie lager. Show the bartender your selfie photo and get your beer for free!! That must be the best tip ever for you walkers.